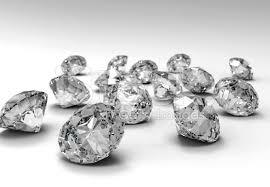 Marinaccio Jewelers LLC retains the right of refusal of sale or service for any reason. Marinaccio Jewelers LLC does not warrant that information contained on the Service will be accurate, reliable or error free or that defects will be corrected. Marinaccio Jewelers LLC cannot be held responsible for errors and omissions in the Service and reserves the right to modify and correct errors at any time, but we have no obligation to update any information on the Service. The material on the Service is provided for general information only and should not be relied upon or used as the sole basis for making decisions without consulting primary, more accurate, or more complete sources of information. Any reliance on the material on this Site is at your own risk. We do not honor inaccurate or erroneous prices. Our prices are subject to change without notice. Materials on the Service may contain typographical errors (including pricing errors), and may be changed, updated or modified at any time and from time to time without notice. Marinaccio Jewelers will not be liable or responsible for any such inaccuracies, errors, changes or updates. The Service may be changed, added to, or deleted from at our sole discretion at any time. Except as described otherwise, all materials in the Service are made available only to provide information about Marinaccio Jewelers LLC. Marinaccio Jewelers LLC controls and operates this site from its headquarters in Aberdeen NJ, United States of America. Marinaccio Jewelers LLC does not have any connection or nexus with any state within The United States of America, with the exception of the State of New Jersey. Any use tax or sales tax that may come due (as a result of any purchase made from the Service) that is or may be subject to the laws of a State other than New Jersey, is the sole and exclusive responsibility of the customer. The sole and exclusive recovery of any taxes claimed by the Department of Revenue of any State other than New Jersey, must be collected by said Department of Revenue from the purchasing customer and not Marinaccio Jewelers LLC. Marinaccio Jewelers LLC will not be liable for any sales or use taxes from any State other than the state of New Jersey. Some items may appear slightly larger or smaller than actual size due to screen defaults and photography techniques. Other items may be represented at a larger than actual size in order to clearly show detail, or smaller than actual size in order to show the entire item. Our Service may contain links to third-party web sites that are not owned or controlled by Marinaccio Jewelers LLC. Marinaccio Jewelers LLC has no control over, and assumes no responsibility to the content, privacy policies, or practices of any third party website or services. You further acknowledge and agree that Marinaccio Jewelers LLC. shall not be responsible or liable, directly or indirectly, for any damage or loss caused or alleged to be caused by or in connection with use of or reliance on any such content, goods, or services available on or through any such web sites or services.